It has been a couple of sessions with Glenn Middleton at Tattoo Tears in Caringbah since I last posted. 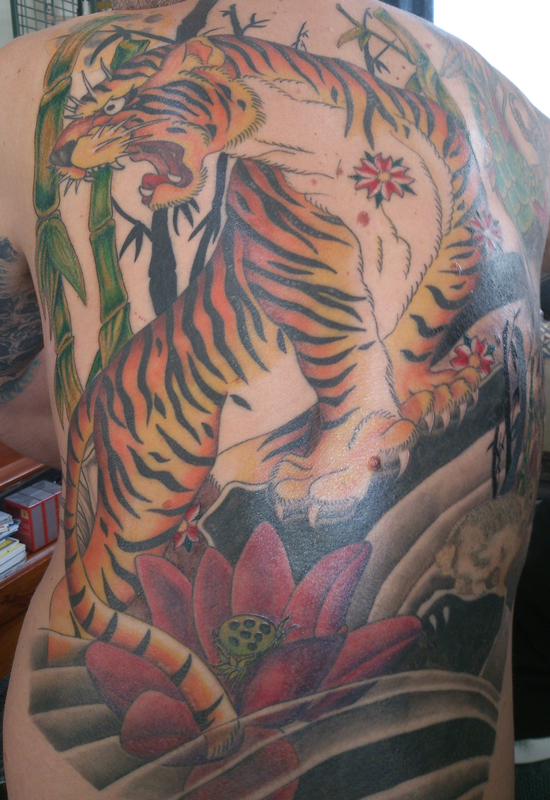 Had a fair amount done on the back including the bamboo up the side and poking out from behind the tiger. This is coming along nicely – only a few sessions to go (i think!). Next will be the rest of the bamboo and then the background shading. That will almost see the back finished – Yay! This entry was posted in Tattoos and tagged Back Job, Full Back Tiger Tattoo, Glenn Middleton, Japanese Tiger, Koi Tattoo, tattoo tears, Tiger, Tiger Tattoo. Bookmark the permalink.